New and Improved Cherry Stoner that will easily remove the pits of 5 cherries at a time, and even the largest diameter cherries. It is USA Made and in all stainless steel! The design easily removes the pits while not losing the juices of the cherries, with a quick pull of the handle, discarding them in a separate area while the pitted cherries drop into a container below. 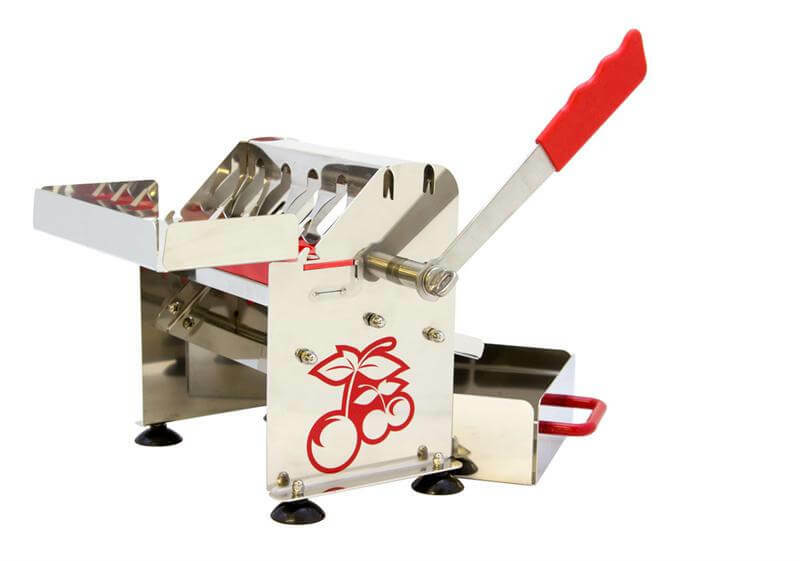 Capable of Pitting Up to 1 lb of Cherries Per Minute! Solid Stainless Steel construction, quality engineering and precision machining make this unit easy to use and clean. - Food Grade, Won't rust! Want to see how it works? Watch the video below! Just amazing! We sell many of these and folks love them! We offer you Free shipping to the lower 48 states only, extra charge everywhere else.